Since 2015, you haven’t been able to look at a “Best of” chart when it comes to Tour irons, and not see the Titleist 716 AP2s at (or near) the top. Folks like Jordan Spieth have done some pretty good things with these clubs too. It’s meant that the new edition to hit the shelves this year – the 718 AP2s – have some pretty big shoes to fill, with many a top ball-striker eagerly waiting to see what these irons bring to the table that their predecessors didn’t. That sense of anticipation was shared by ourselves here at Golf Assessor, which is why we’ve wasted little time getting stuck into putting these irons through their paces. The results of this undertaking? We reviewed the Titleist 718 AP2 Irons as part of our Best Golf Irons Review, read more here. If you already own the Titleist 718 AP2 Irons please leave your review in the customer review box at the end of this article. The core purpose of the 718 AP2s was to make them a bit more forgiving than their 716 equivalents, and they’ve achieved that. The combination of thinner faces, high-strength inserts and some ingenious weight redistribution has done wonders for ball speeds across a wider portion of the face, and the performance, playability and feel are undoubtedly improved. They also ooze every ounce of the class you’d expect when looking at high-end Titleist irons. 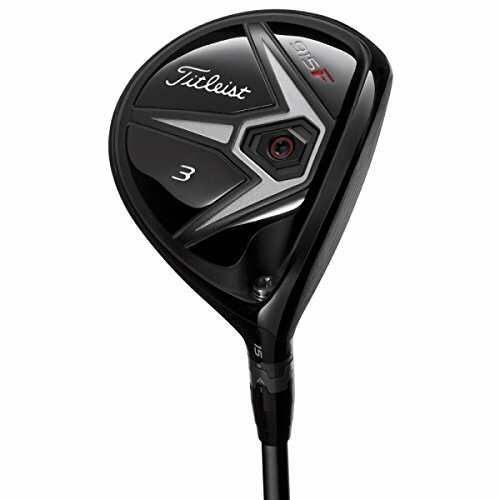 The only issue for prospective buyers is whether the price is justified, and whether there aren’t better Titleist alternatives – depending on whether you prioritise forgiveness or high MOI. It will come down to personal choice on that one. But, for our part, these are absolutely flawless irons, which do exactly what they scream on the tin. Breathtakingly good to look at. Compact, slick… 5-star! A thinner clubface, rigid inserts and some well thought out weight redistribution has made the 718 AP2’s incredibly powerful in terms of ball speed. 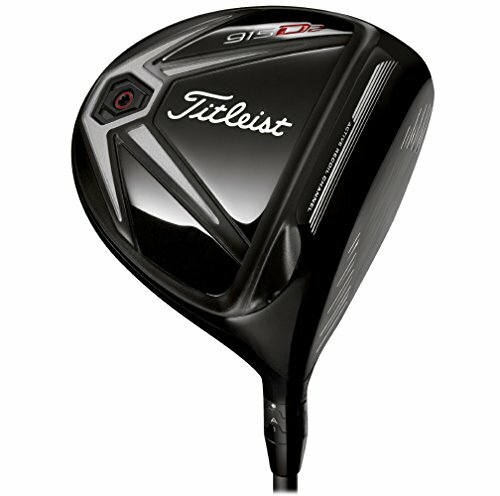 Playability and feel have also improved in leaps and bounds, not to mention the overall look of the iron which is classic quality Titleist. The emphasis has been on enhancing forgiveness, and this has been achieved through three principal methods. 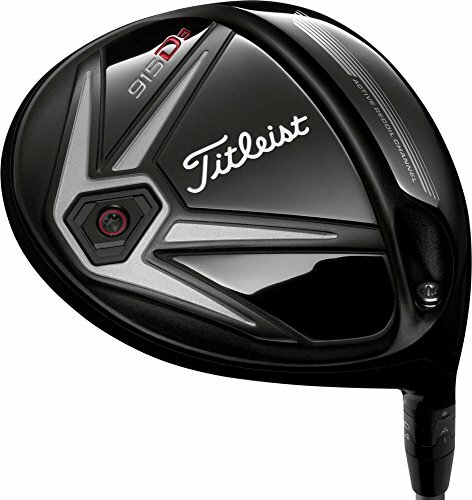 Firstly, Titleist has made use of SUP10 high strength steel face inserts in the 3 to 7 irons. 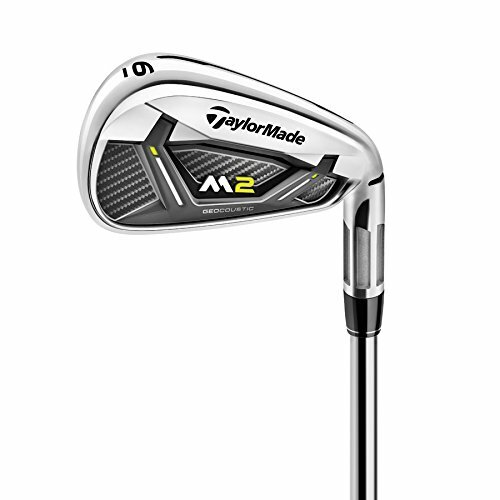 Nothing new, except that these are now thinner (2.1mm), which does a lot for ball speeds – more so on the longer irons. Secondly, 57.4g of high-density tungsten has been added to both the heel and toe of these same irons. These come in the form of “tungsten caps”, which have been co-forged into the perimeter to up the ante in terms of MOI. And thirdly, the knock-on effect of being able to move more weight to the edges means CG shifts more to the center with these longer irons, thus helping with launch. It also nullifies the twists and turns associated with impact. As for the 8 to pitching wedge, these clubs comprise a forged 1025 carbon steel face and clubhead which makes for a less-explosive sound, but still good feel all the same. The stock shaft for the irons is the True Temper AMT Tour White, and can be sourced in regular flex, or stiff for the immortals. 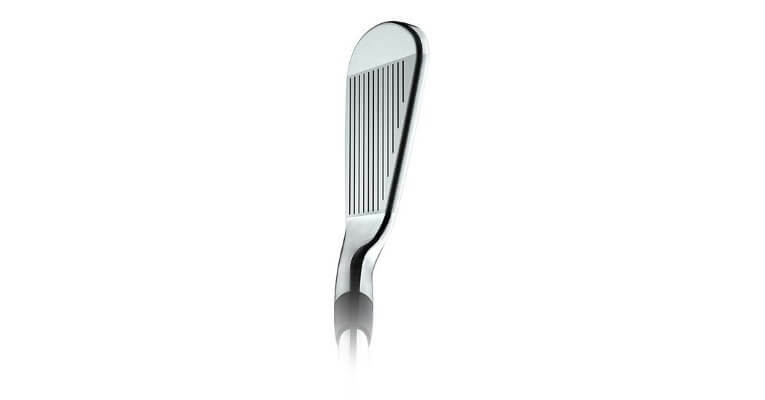 These are Tour irons, so let’s go in with that perspective. Yes, there have been some technological tweaks which have gone into making these irons more forgiving, and we wouldn’t undermine them. But, ultimately, these irons aren’t for the faint of heart. Even Adam Scott has elected to make use of the bulkier AP3s, so we are speaking to a select few golfers here. If that’s you, and you haven’t yet been scared away, then the good news is that these clubs have a lot to give. We felt most at home with the mid-irons, which strike a very enjoyable balance between being playable, but with a bit more generosity in terms of launch. You also feel in full control of your golf ball when you get to grips with them, which is an awesome feeling. Consistency might be harder to come by with the 3 and 4-irons, but it undoubtedly feels very satisfying when you get it right. Some really high MOI numbers can be achieved too, and these produce ball speeds across the face which are on a par with any other blade-sized iron we’ve sampled. The downside is that there is just a bit of a differentiation conundrum. They sufficiently set themselves apart from the 716 AP2s before them, but the benefits of the AP3s will appeal to many more golfers, as they are far more forgiving, but still compact, Tour-level irons. In turn, playability and workability in the CBs is hard to beat. That doesn’t leave much room in between. Beautiful set of irons that scream quality craftmanship and detail. 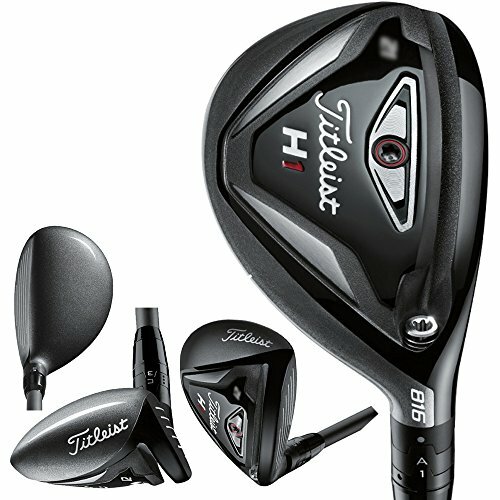 Top drawer by Titleist. “Compact” is undoubtedly the best word to describe these clubfaces, and they look very tidy at address. The keen eye will note that they are also a bit longer than other blades like the CBs, although nowhere near as long as the AP3s. It is when you put those two side by side that you appreciate just why the AP2s are classified as Tour irons, and that any visual perceptions of forgiveness are put into perspective! One striking feature of the AP2s is the worn leading edge, which helps make for a smooth turf interaction. Not only does it do a good job, it also ties in nicely with the stylish look of these clubs at address. Scratch that… they look stylish from any vantage point. They haven’t reinvented the wheel with the overall look of the 716 AP2s, and for good reason. 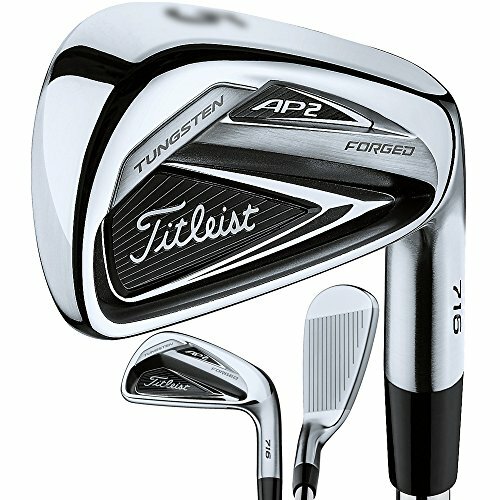 There is one singular question that needs answering here: to whom exactly are the AP2s really appealing to, and are there better alternatives? In the one corner, you have the AP3s, which are more forgiving, and even deemed suitable by some top pros on the Tour. On the other hand, if you back yourself with blades of the purest kind, then the 718 CBs arguably feel better when you get it out the middle. I guess there is still some real estate in between for the really top amateurs, but not a whole lot. In this sense, the AP2s have almost been cannibalised by the sheer volume of selection coming off the Titleist conveyor belt. There is absolutely nothing wrong with the AP2s – on the contrary, they are beautiful, brilliantly-designed and engineered clubs. All we’d say is that it is worth trying a couple of its siblings first before deciding if these are the right ones to cough up the big bucks for. 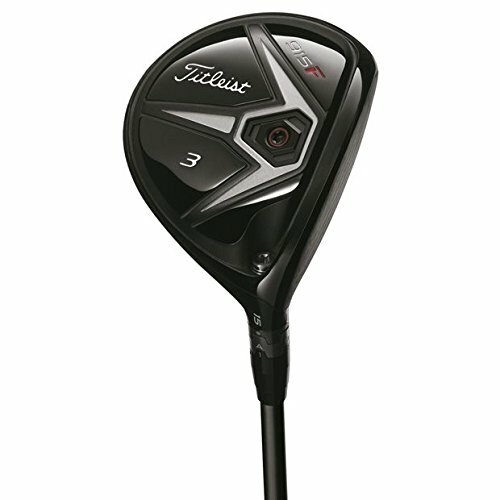 Michael, I am interested in purchasing either the Titleist 718 AP2 Srixon 785 or Mizuno 919 forged with a Modus 3 105 stiff shaft. Please leave cost out of it and give me your best recommendation on the club itself thank you so much for such insightful reviews. Hi Jeff, thanks for getting in touch. My recommendation would be to go for the 919 Forged irons. 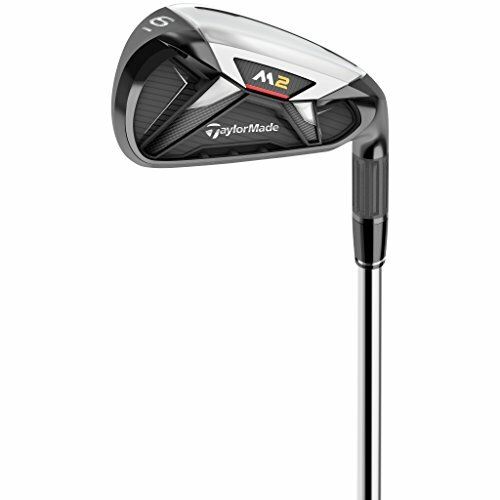 They are a beautiful set of irons that meshes playability, workability and superb feel. 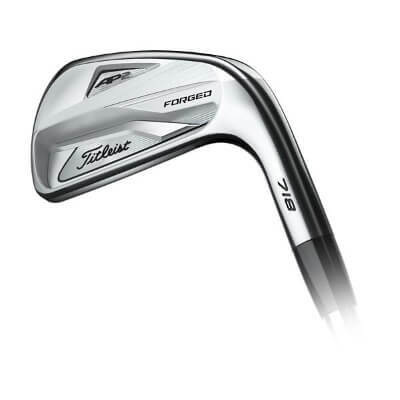 Also each iron fractionally longer in distance than it’s predecessor the 900 Forged. If there’s one thing Mizuno is renowned for, it’s their irons and for good reason. Hope this helps!